"When Kimi talks, it is always something important"
Lotus test driver Jerome d'Ambrosio confirms the claim. - Yes, he does not talk much, but when he speaks, it is always something important. - Otherwise he is a nice guy. First meeting went well. D'Ambrosio describes Räikkönen to be a very different personality when compared to Lotus' other driver Romain Grosjean. - We have known Romain for ten years, so we get along well, we have never had any problems. "Autosport understands that Lotus already has the required agreement from the majority of teams and given that Mercedes was granted an extra day before this week's Barcelona test after only running for three days in Jerez two weeks ago, it is likely to get permission." "Sources indicate that the team is confident that it will have its chassis ready after making modifications to solve a problem believed to be related to the front suspension." Has Kimi filled the gap left by Robert Kubica at the team? It’s early days. What we can say is that he has fitted in extremely well. One area where he is incredibly strong is his consistency on long runs. You can tell from that how good the driver is going to be, not just from outright pace but how he holds that pace. Often you see drivers do a fast lap, a slow lap and make mistakes on long runs, but not Kimi. So you need leadership from Kimi? of confidence is where the leadership comes from and he will get that respect and trust because we can see that he knows what he’s doing. He doesn’t have a great reputation technically, but it seems that you’ve not seen any weakness in that area... His feedback is excellent. His knowledge of different engine maps and differential maps is excellent. I see no reason to say that he isn’t a good development driver. So you are completely confident that the speed is there? I was reasonably comfortable with that after the Valencia test [in a 2010 Renault] but it was difficult to gauge. Kimi and the new car is a strong package. Does he stand comparison with other great drivers you’ve worked with such as Michael Schumacher, Fernando Alonso and Robert Kubica? he hits it on his first lap. A lesser driver takes time to feel that. Drivers don't lead the team. He doesn't need to stand on a pedestal and tell us how to do our jobs. The sense of confidence is where the leadership comes from and he will get that respect and trust because we can see that he knows what he's doing. He doesn't have a great reputation technically, but it seems that you've not seen any weakness in that area..
His feedback is excellent. His knowledge of different engine maps and differential maps is excellent. I see no reason to say that he isn't a good development driver. ....The 2009 car was evolving ever further away from his driving preferences strong front end, quick and precise direction change and more towards Massa’s.Then Felipe had his accident and Kimi the driver Ferrari was paying off a year early became the sole focus for the last few races. “What do you need from the car?” they implored. He told them, and it worked and for those last few races he was consistently superb. “Why didn’t you tell us before?” they asked. 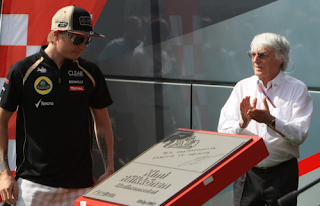 Bouillier revealed "I called Kimi"
Eric Boullier revealed that he personally contacted Kimi Räikkönen before starting the contract negotiations. Negotiations started after Boullier called Räikkönen. - I called Kimi. We didn't need any managers for that and nobody in our team even knew about it, Boullier told to Auto Motor und Sport. - I felt very quickly that F1 is once again his priority, Boullier continued. Reigning world champion Sebastian Vettel has flagged his friend Kimi Raikkonen as a potential pretender to his throne in 2012. After becoming friends prior to Raikkonen's rallying switch two years ago, German Vettel has stayed in contact with the Finn, occasionally meeting in their domiciled Switzerland to play badminton. They did not manage to catch up at the Jerez test last week, but Red Bull's Vettel admitted the pace of Raikkonen's new Lotus caught his eye. 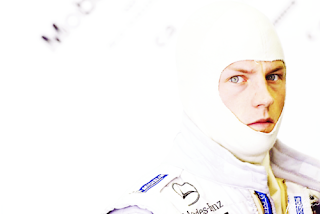 "If it's as good as it seemed at Jerez, then Kimi is a serious opponent," he is quoted by Auto Motor und Sport. Lotus has been impressed by the speed at which Kimi Raikkonen has adapted to his new car after just two full days of testing in Jerez. \"There's an awful lot more to Formula One than just putting one lap together and that's what makes a champion,\" he told ESPNF1. \"That's the sort of thing you can see in Kimi and see how good he is; how he uses the car over a long run and how he looks after the tyres. He's never driven these tyres before and already after a couple of days you can see that he's understanding them and altering his driving to look after them - he's got a lot of feel in the car.\"
\"He's very easy to work with, very, very easy indeed - no complaints at all,\" Permane said. \"His feedback is excellent, he spends an awful lot of time with his engineers looking at stuff, going through data and telling us what he wants. From what I can see, he's happy firstly with the car we've given him, but also the other stuff - the bits that he asked for when he came, the type of steering wheel he wanted, the seat, the seat belts, things like that. We've also delivered the braking stuff he wanted, he's got all that. 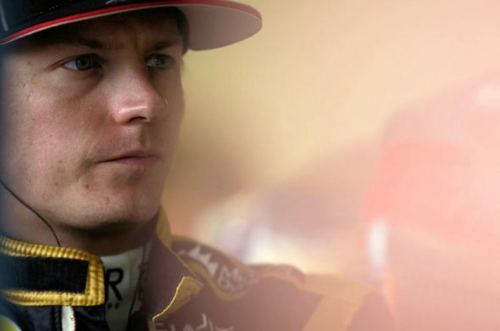 I think he's a pretty happy guy.\"
Since his arrival in Enstone, Kimi Raikkonen has been gradually winning over his team and giving them the motivational boost that was sorely missed after Robert Kubica’s tragic rallying accident prior to the start of the 2011 season. “After the frustrations of 2011 and the loss of the model that we had built around Robert, the arrival of Kimi has been the secret to the galvanisation of the team. It has been a big boost,” said Lotus team principal Eric Boullier, in an interview with Autosport. 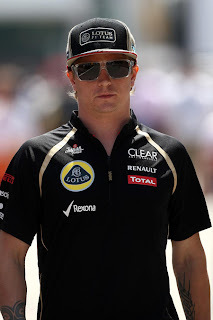 Although Boullier has already confirmed that the Finn’s contract does not state that he is Lotus’ number one driver, Raikkonen is beginning to establish himself as the team’s de facto number one. “Very few people in the team knew Kimi but after the first running he did in the car, they started to understand how he worked. The charisma of the guy is strong. He is a racer, he loves competition, loves Formula 1 and racing,” added Boullier. According to Autosport columnist Edd Straw, the general consensus in the paddock during the Jerez test is that Raikkonen has not lost any of his speed after two years away from Formula 1. 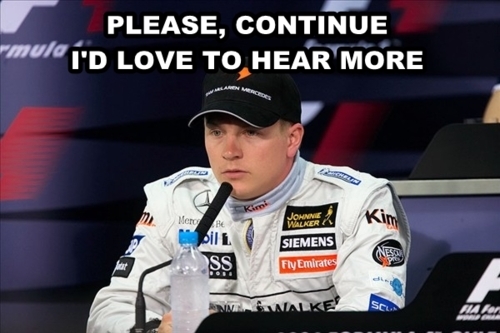 “Raikkonen is still quick. He was clearly leaning on the car from early on and was easily the most exciting driver to watch during the first day, showing that he was eager to get on with it, despite the main priority of his programme being data collection and validation,” said Straw. \"If Grosjean can do those laptimes then we will all have to watch Kimi (Raikkonen).\"
Ferrari driver Fernando Alonso is already waiting to face Kimi Raikkonen on track. - \"I'm happy that Kimi has returned because he's a spectacular driver and a great personality. It will good to battle with him again. To get him back on the starting grid is good for the sport, the fans, us drivers, the teams and sponsors. I only see good aspects in it but it remains to be seen how fast his car is\", Alonso said to MTV3 on the eve of the last test day in Jerez. What is a good relationship like according to you? - I'm sure everyone have a different relationship and you can't order what is good for anyone. For as long as both have fun and both feel good to be together is what defines it. Which one of you are more jealous? Are you jealous of each other? - I'm sure eveyone is. Even though you would say that you aren't jealous I think everyone is. - Yes. I don't have anything to complain about. Do you think that Jenni is also happy with you? - Yes. We wouldn't be together if we weren't happy. Like I said there are always arguments every now and then but I think it's the same for everyone else too. - I read it every now and then because we get it in Switzerland! Yeah, the bible comes to our home (laughing). So you call Seiska jokingly a bible? - It is sometimes like that, yes! Is it true that you are allergic to Jenni's horses? - I'm allergic to quite many things like cats and horses. I get a stuffed up nose if I spend a lot of time with them. I had more allergies during the army-time. What tv-programs do you watch? - This and that. Mostly sport. Yesterday I was staring at something that my mom watched. What Finnish icehockey-league do you support? - I don't personally support anything special. Of course I hope that Espoo's and Helsinki's leagues would do well. I don't follow icehockey with clenched teeth and despite rumors I don't own anything from Tampere's Ilves. May the best league win. How often do you party? - It depends a lot. Now I haven't had time to party because of having so much to do. Of course if I'm free and want to go, then I go. I don't have any regulations concerning that. These things are related to normal life just like it is with everybody else too. How is a good party made, a party where you enjoy yourself? - I guess it's the good gang. That's where it usually takes off. Does it have to be karaoke? - It has been less karaoke although it's usually been fun there. It's not necessary but I rather go to a smaller and more quiet place than to some big disco. How much and what do you drink during a bar-night? - Hmmm... Hard to say what I drink. There is no main drink. I usually order a lot of cranberry vodka because my buddies drink a lot of that. I often drink vodka and vichy if I drink. Are you a person who likes to be comfortable? - Well not any more than anyone else is. I'm usually fine with everything. How hard steam-man in sauna are you? - I like sauna but with normal steam. No sauna-Timo-business for crying out loud! The sea is here beside, do you swim a lot? - I swim in the summer. The last time I took a swim in that sea was just before the ice came. - It depends a little but I like a really cold shower too. It refreshes quite well. How much time do you spend in the shower? - Well as long as I get clean I guess. I don't have any stopwatch there for crying out loud! Do you wear a bathrobe or do you walk around with a towel over your hips? - I only use the basic deodorant. You get it easy from the gas station! Do you blowdry your hair? - I usually listen to Finnish music from the radio. You mean radio Suomi Pop? - I has been less now that people there have changed. It's not as good in the morning as it used to be. - Five I think. Audi, Fiat, Merc and VW. I guess I get some Lotus too soon but any luggage won't fit into that. How many tattoos do you have and do they have some meaning? - Two. I don't think that they have any special meaning. You have told that you would want to have two children. At which stage do you think starting a family would be actual? - Of course you want family. It doesn't mean that there should be one or two children. Hopefully I get a family at some point and that all children would be healthy. I think that's the main thing. I heard that you are very fond of children. Is it true? - Yes, I like children. I don't have any of my own but I like spending time with them. What is the secret of your and Jenni's lasting marriage? - I don't think that we have any secret. Of course we have arguments and nagging at times just like in every other relationship but it's normal life. How often do you see Jenni? - We are about every day together at home unless we are on some trips. It has been like that ever since we met. What mutual hobbies do you have? - I guess just being home since we both have our own hobbies. I do my own things and Jenni rides everyday. You have many houses but how many homes do you have? - This place in Porkkalanniemi is one home and I have another home in Switzerland. I don't think that I have any more homes than anyone else has. You travel a lot. How many nights per year are you here in Porkkalanniemi? - I can't say at all. I spend more time here in the summer when the weather is good. Is the place in Kaskisaari more of a partying place than home? - No. I use it when I have for example some job stuff in Helsinki. How do you decorate your apartment? I doubt you go to IKEA by yourself. - No I don't go to IKEA. This house has been designed by interior-people. Is there something in the interior that Jenni likes and that you let her have with long teeth? - Well I don't have terribly much that I would have objected to. I don't pay attention to those kind of details. We have a pretty similar taste but interior is more a thing for women. I'm sure it's more important to them than it is to me for example. We should just let the women take care of these things! Which room is your favorite room? - I guess I spend most time on the couch in front of the tv. What do you serve your friends when they come and visit you? - It depends of course on which day it is! *laughing* I don't usually ask terribly much, they find their way to the fridge themself. Do you go to the supermarket yourself? - I go there quite often. I like to go there but it also depends upon which time you go there. Sometimes there are many people etc. but I like to circle around there. Do you clean your home yourself? - Yeah I clean sometimes. I do the normal cleaning myself, like wash my own clothes. - No. A cleaning lady comes twice a month to sweep the biggest thrash. Do you make food yourself? - I make food if I'm home alone. - I guess it's chicken pasta. It's the easiest to make. I'm not any passionate cook. - I like salmon quite much and meatballs are guite good too. What is hour favorite drink? - I drink a lot of milk. How do you prepare a White Russian the right way? - I don't know since I haven't drank White Russians for years. I'm sure I couldn't make them the right way. - I guess you mix vodka with some cranberry. Is Jenni a good cook? - She is a bit better than me but if we would compete I think it would be quite an even competition. Does she cook for you often? - Every now and then. We don't have any rule book about those things, that someone would always have to cook. Often we go out for dinner and sometimes pick up something. - We have three dogs. My mom keeps two Jack Russell terriers and the German Shepard is in Switzerland. What names do they have? - Reiska, Peppi and Ajax. Q: A lot of people have been asking about your new helmet design; Can you tell us a bit more about it? Kimi Raikkonen: There’s no particular reason for it, I just like how racing was back in those days and it’s a nice design; there’s no more to it than that! Seiska asked Kimi 77 questions in his home in Porkkalanniemi. Are you nervous when going back to F1? - Not at all. I wouldn't had come back if I wouldn't have liked to. I'm sure it's going to be fun this season. What kind of chances of success do you think Lotus has this season? - It's difficult to say, nobody knows yet. We will see after the first tests where we are going. Do you have hunger for another WDC? - Yes. You always have that as a goal. I will try a lot, lets see if that's enough or not. You have said that Lotus has a homey atmosphere compared to your earlier teams, how do you see the difference? - Each team has always been different. Lotus has however a different kind of management. They are younger and racing-spirited and not any uptight people. 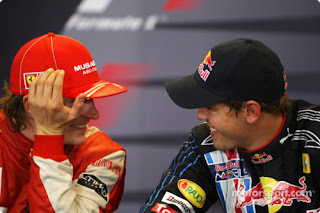 Is Sebastian Vettel your best buddy in F1? - Yes, I know him best and have spent most of time with him than with any other drivers. Do you have any enemy or someone you can't stand there? - No I haven't but it's difficult to say what other people think. Have you already met your team mate Romain Grosjean? Is he a good guy? - I have met him and he is a nice normal guy. Where do you see yourself after ten years? - Difficult to say but hopefully everything is still okay. What plans do you have for your life after F1? - No plans. I have never have any terribly long plans. In how good physical shape are you? - I guess in the same shape as before. I know pretty well in which shape one has to be. They operated your wrist after the recent motorsledge-race. Has it healed well? - Yeah. It's now completely okay. They often talk about your money in public. You have a fortune of over 100 million euros. What does money mean to you? - I guess it means the same as it means to other people too. I get a certain amount of money for the job that I do. Some think it's right, some think it's wrong. I myself have however made all the work so it doesn't make me ashamed at all. Money makes some things easier but it really doesn't solve everything in life. Has the big fortune made you out of touch with reality or do you even think about monetary matters? - *laughing* Definitely not! I'm just the same as I was before. It makes some things easier but it also brings a lot of negative things along. Do you pay your bills yourself or do you use an internet-bank for example? - No I don't. My mom takes care of quite many of my things. How much money will you get for your next season in Lotus? How have you invested your money? - Well I have a few apartments and something like that... You have to live somewhere. They have thought in public that you are part-owner in Lotus, is that true? Would you like to own your own F1-team someday? - I don't have the passion for it. In the end it's quite cruel business. Have you ever donated a lot of money to charity? - I have done that every now and then. At the moment I have this small thing going on with SOS Children's Village. What is your biggest win in poker? - In poker? It can't have been any big sum at least! I have sometimes played poker with my buddies but never been to a casino. Then what is your biggest loss in poker? - I doesn't come to my mind right now, but usually I lose rather than win. Do you play other gambling games? - I guess I have sometimes played some pajazzo etc. if they are seen as gambling games, but nothing more. They say that you are genuinely a laidback guy and don't look like you would be nervous of any racing situations. What kind of situations make you nervous? - Hard to say. Sometimes normal things can make me nervous. It depends on the place but I am also nervous about races. What kind of things are you afraid of? - There are no things that I would be afraid of. I don't have fear for high places or things like that. Q: The team had a tough time last year but for you - in F1 - it’s been some time since you’ve raced a car not capable of winning a Grand Prix. Is that a worry? KR: Ah, I didn’t have an outright winner of a car for many years. I would say that in 2009 I didn’t exactly have a winning car and people seem to forget that so easily. And how often do you win? Okay, I had some good wins in Formula One, but if you compare that with how long I have been in Formula One, then I haven’t won so often. But that is obviously part of a career. Q: When did the idea of returning really take shape? KR: That was during the summer when I was doing some NASCAR races. I enjoyed that direct fight with competitors again, the wheel-to-wheel fight. I realised that I was missing it. In rallying you also race against people, but not physically, and it was that physical aspect that I really missed. After that realisation, I spoke to my managers and they started to sort things out for me. Q: Why didn’t the negotiations with Williams work out? KR: We simply didn’t find a solution that would satisfy both sides. You know how it is - one side wants something and the other something else, so you drift apart. That’s how it goes sometimes in life. And sometimes the bad comes good. I am very happy where I am now. Q: Lotus team principal Eric Boullier said that when he told the team that you were joining it immediately boosted morale. Did you expect you would ever be a morale booster? KR: I know that the team had a tough year last season, but they have great people and so far it has been a good experience joining them. I hope we can have a good experience together in the months to come - and that will be an even bigger morale boost! If you ask me what my goal is for this season then the answer is that I don’t know. You must wait until the first couple of races and then I will probably be able to give a hint. Q: During your two-year sabbatical you didn’t once attend a Grand Prix. Why? KR: Well, I went to Monaco twice, but not to see the cars, only for business. And if you want to see cars properly - as someone like me, who is really interested in how the cars change, does - then you come to a test. And if you want to see the race then you see it on TV. Q: Do you think anything significant has changed over the last two years? 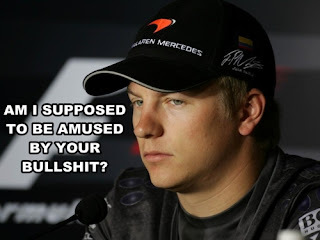 KR: Not really, except for the tyres and having a different manufacturer for the tyres. The cars haven’t changed too much and everything else is business as usual. Seiska's reporter tells: This is what Kimi Räikkönen is like for real! Seiska's reporter Panu Hörkkö visited Kimi Räikkönen at his home and he was surprised - positively. When I drove on Feb 3rd from Helsinki to Kimi Räikkönen's villa in Porkkalanniemi I had butterflies in my stomach. I had actually had them ever since the night before and Kimi even visited in my few hours dream to be honest. So the unconsciousness pulled cruel tricks on me. I was however about to meet Kimi for the first time and I had heard that he hates reporters. I wondered which one of us is more troubled with the meeting - the one who was going to be interviewed or the interviewer? Kimi's expression was something completely different from what I had expected! When the photographer and I arrived to Porkkalanniemi we were greeted by Riku Kuvaja. He informed in his kind way that he would go and walk around the villa with the photographer and I could soon interview Kimi in peace. Soon after that the glass door opened and a beanie-headed Kimi came out to shake hands with me. 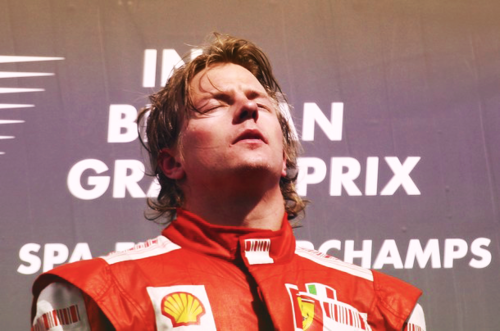 I immediately saw an expression on Kimi's face that I hadn't seen in one single magazine or tv-interview earlier. Kimi was unbelievably laidback and frankly put charming, if a man can say so about another man. 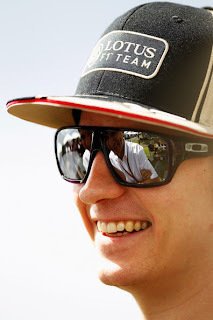 Kimi's boyishness and grinning continued all through our 3-hours meeting and the ice broke easily in the Iceman's cave. Kimi answered my questions in a laidback way and used his witty sense of humour. His laughter was catching and the atmosphere was warm. - I like to go to a sauna but just the normal steams. 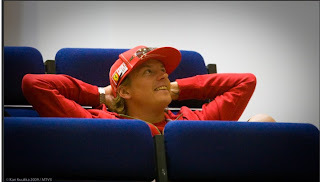 No Sauna-Timo-business for sure, Kimi said. It wasn't pretending from his side, I can say based upon my life experience that Kimi is genuinely a laidback person - and modest too on top of that - unlike many \"heroes\" I have met. Lacking speaking skills, they say! After we left the villa I could only think that dammit, that guy just hates cameras just like probably 99% of Finnish men also hate! Next F1-season I am going to concentrate on following only Kimi and his grips in Lotus. The guy did after all set the fastest laptime in Jerez testing! 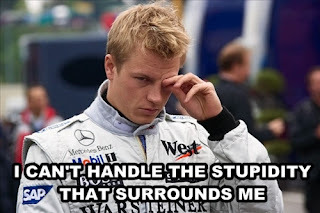 I will leave in their own league those who nag about Kimi's poor skills of commenting or posing. Afterall I know myself that we Finns have an exceptionally charming hero in this man. And a man can say this about another man. Good luck to the upcoming season, Kimi! [b]Q: You clocked the best time on day one at Jerez. Was it because of a magic car or a magic Kimi? KR: Well, there are moments when the handling is easier than at other moments, but overall I am pretty happy with the car. Sure, there is always room for improvement, but I would say that it was not a bad start for Lotus and myself. At the moment the magic word is mileage - for all three of us: the team, the tyres and me. KR: No, there were no problems whatsoever. That is why you exercise before. Q: Topping the timesheets must have reassured you that after two years away you hadn’t lost it? KR: To be honest it never entered my mind that I could have lost it. I knew when I drove the old car in Valencia that I would be okay. I could feel it immediately. Of course there isn’t 100 percent certainty, but it is coming close to that. KR: …and nothing has changed. And believe me, I didn’t expect any change! (laughs) Sure, from that aspect rallying is much nicer, but that is a part of Formula One and if you want to race in this category you have to accept all aspects of it. 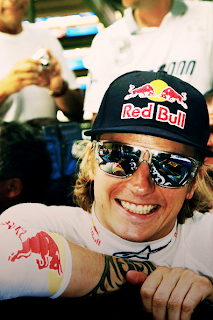 Q: So despite all these downsides you found Formula One so exciting that you came back? KR: I found the racing so exciting. I missed the racing. And it is a fact that Formula One is the highest form of racing. So you would rather take it than leave it. Q: Is it fair to say that driving a Formula One car is the best thing you can do with your life? KR: Oh, I am sure there are more things that you can do in your life. KR: As I just said, if you want to compete at the highest level of racing you have to race in F1. That is what I enjoy. All the side affects you have to accept for the benefit of racing at the top level. KR: I don’t know if you miss winning, but of course every sound person would rather win than lose! (laughs) But it is not often that you can win all the time. It’s not that I’ve got used to winning. You can tell Kimi is a class act. He gets in the car and is on the pace straight away; there’s no building up to it. His commitment is instant and the lap times show that. His fitness level is also good which has allowed him to be consistent, and he hasn’t had any major ‘moments’ out on track; he seems to have everything very much under control. So far his feedback on the car has been good. Kimi has been complimentary about the balance of the car, the braking and other features. The steering is slightly heavy for his liking at the moment, but other than that he’s been comfortable. The Finn responded to the hype surrounding his return with four fast stints, and occupied the top spot on the timesheets from the minute he first left the garage. His fastest time so far, a 1m19.670s, set on his third run using medium Pirelli tyres, was faster than any testing laps at the Spanish track throughout 2011. 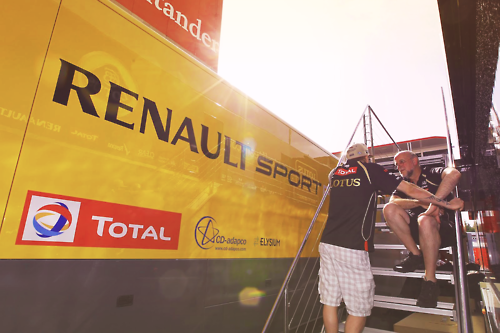 Kimi Raikkonen will get Mark Slade as his race engineer at Lotus. 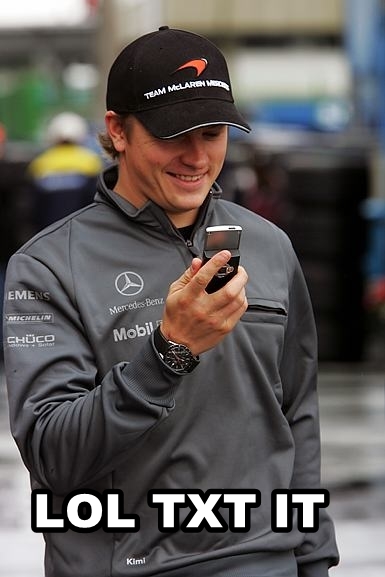 Slade worked with Raikkonen already during his McLaren years. Slade moves to Lotus from Mercedes GP where he worked as Michael Schumacher's race engineer. Kimi Raikkonen can lead Lotus back to winning ways, according to team principal Eric Boullier. Boullier believes that the 2007 world champion's experience means that he will give the team the clear direction that it needs to deliver on its potential. \"Clearly, he brings a commitment to winning and he knows what he wants,\" said Boullier. \"He is a proper racer and fits in well with a team that is a bunch of proper racers. 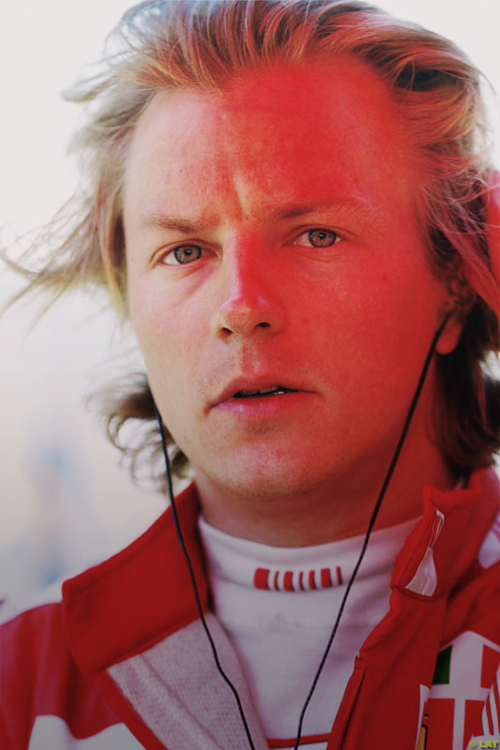 \"When he is in the car, he knows exactly what he wants and that makes the team's life easier. \"It means more ambition and more responsibility [for the team] but it is also a different way of working with a world champion. He wants to win again and that's an ambition that we share.\"
Kimi Raikkonen insists motivation has never been an issue for him, and reckons he drove some of his best races during his last year in Formula 1. Raikkonen left the sport at the end of a difficult 2009 season and spent two years in the World Rally Championship. 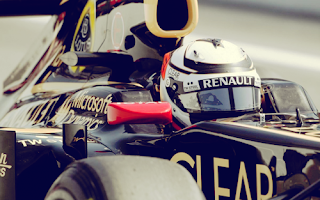 The Finn is now returning to Formula 1 with Lotus, and says people questioning his motivation are simply wrong. Kimi Raikkonen is adamant Lotus is capable of building a winning car, as the team unveiled its 2012 challenger to the public on Sunday. 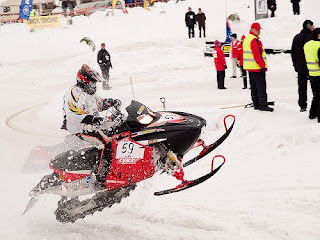 The Finn, the 2007 world champion with Ferrari, is returning to grand prix racing with Lotus after having left the sport at the end of 2009 to compete in the World Rally Championship. Lotus, racing under the Renault name until last year, won its last race in the 2008 season with Fernando Alonso and has struggled to be competitive since. 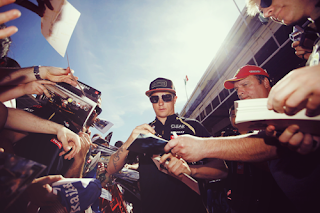 Raikkonen is confident, however, that the team has what it takes to return to winning ways.